The Super Eagles appointed Salisu Yusuf as interim manager this week to take charge of two upcoming friendlies against Mali in Paris on May 27 and Luxembourg on June 1. But former Tottenham boss Redknapp has been approached to take over the national side full time. A source close to the team revealed he could be named as the next permanent manager within a few days. The role is widely seen as the biggest job in African football. Redknapp is largely untested at international level after narrowly missing out on the England job to Roy Hodgson. Last month Redknapp, 69, finished a two-game deal managing Jordan – reportedly a favour for the country's FA president Prince Ali bin al-Hussein. 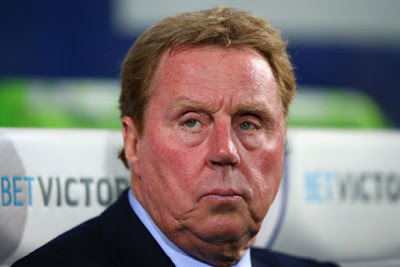 Now Redknapp is free to prepare for Nigeria's opening African Cup of Nations qualifier in September. Derby appointed Redknapp as an adviser earlier this year – but the ex-West Ham and QPR boss has said he did not want the job full time.